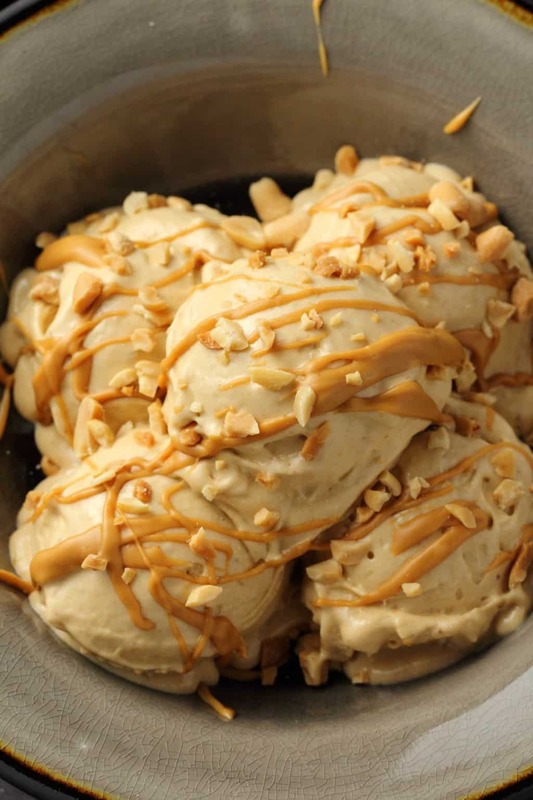 I don’t know why it’s taken me this long to put up this recipe for peanut butter banana ice cream, because this is something I’ve been making regularly for the last decade at least, if not longer! It’s super quick and easy, is also actually healthy (really!) and just 2 ingredients. 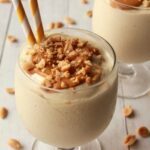 All you need is a food processor, some frozen bananas and peanut butter (or another nut butter, as you like) on hand and you’re ready to go! Now, usually when I’m putting bananas in the freezer to freeze for smoothies, I just peel them and break them up any which way, into halves or quarters, but the pieces are quite big. But when you’re going to be using them for banana ice cream, it can be helpful to chop them up a little bit smaller. Not super small, but as you can see above. This is because it will process up a bit easier. And then when they’re nice and frozen (usually takes at least 12 hours to get properly frozen) then you put them into the food processor and process! They will break up into pieces and it will all be very noisy and your machine will likely want to bounce along the counter if you’re not careful. But this is all part of the fun! 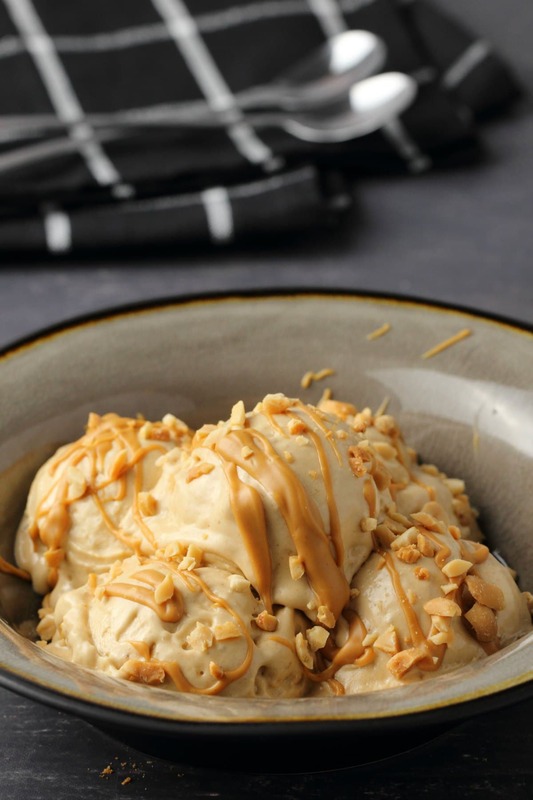 Then you add your peanut butter and keep processing, stopping to scrape down the sides and break up any clumps that are occurring and then suddenly, it will turn into the most velvety dreamy ice cream. It’s seriously delicious! And by the way this is a method you can use for any flavor vegan banana ice cream you want. If you want to make it a chocolate peanut butter version, add in some cocoa powder! If you want it to be a strawberry banana ice cream, add in some fresh or frozen strawberries (and omit the peanut butter). If your strawberries are frozen though, then add in a couple tablespoons of non-dairy milk. 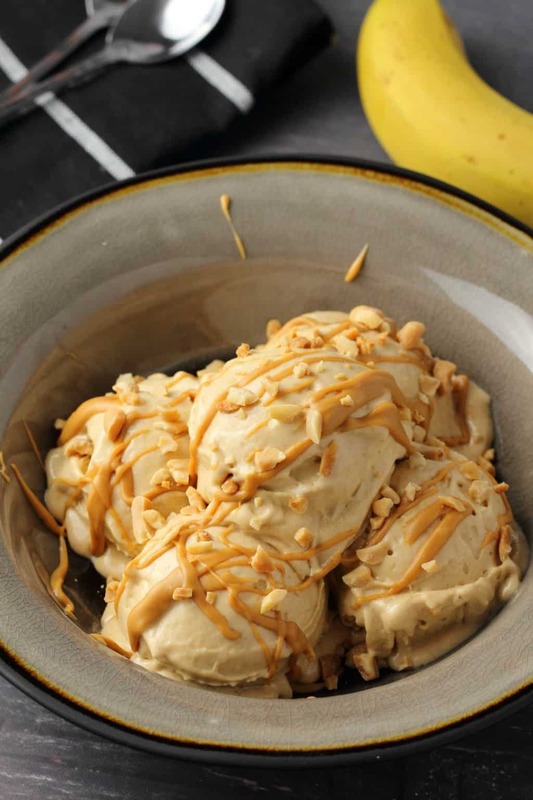 Basically, using the bananas as the base ingredient, you can create any flavor you like. Mint chocolate chip? Add some mint leaves and when it’s ready, stir in some chocolate chips! 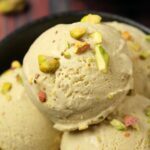 Want a nice plain vegan banana ice cream? Use just the bananas and a tablespoon or two of non-dairy milk (at the same time you would put in the peanut butter). And it really is delicious, and yes it does taste like ice cream. It tastes like a delicious dessert, not a ‘healthy’ dessert. I have a friend who used to make up a batch of this vegan banana ice cream (with cocoa powder added) and put it in an old ice cream container and serve it to her hubby and kids when they wanted chocolate ice cream. 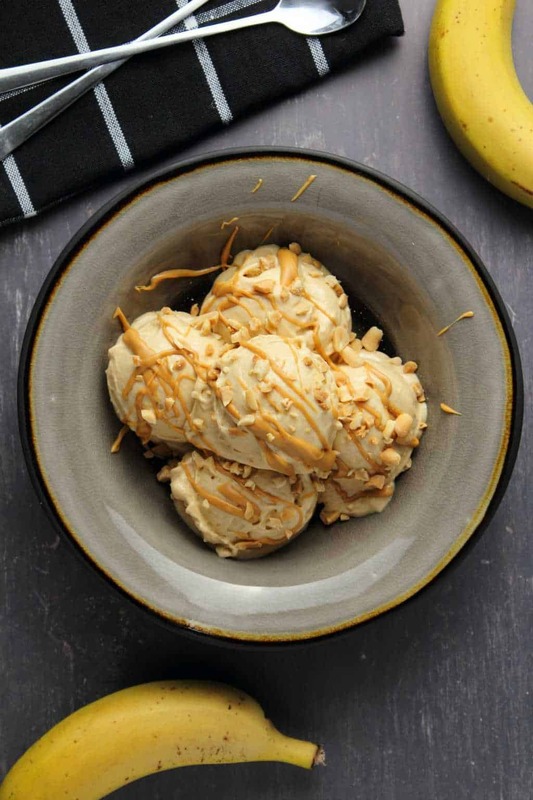 Seriously, no one suspected it wasn’t regular ice cream, they had no idea it was made from bananas. I do recommend you eat it right away. 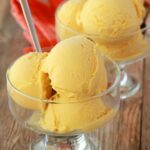 You can freeze it for later, and scoop it straight from the freezer, but the texture is not quite as velvety and lovely as when you serve it right away as ‘soft serve’. 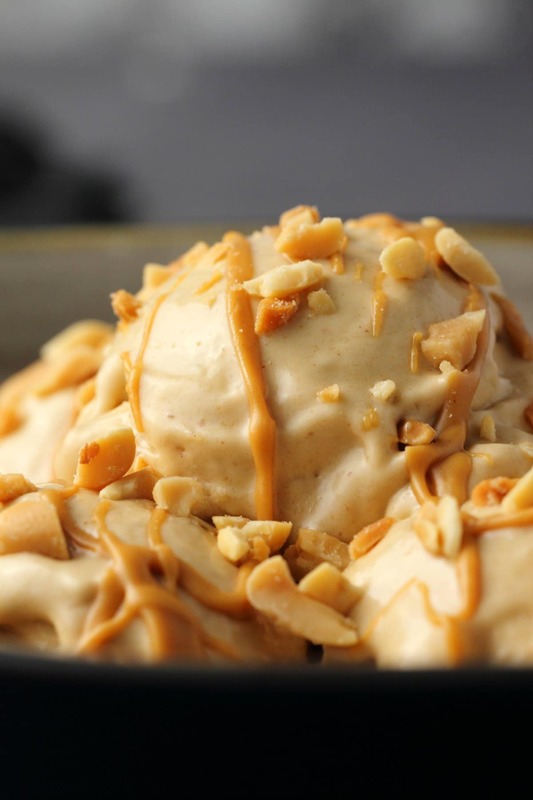 Decorate with melted drizzled peanut butter and crushed peanuts and you’ll be in banana ice cream heaven. 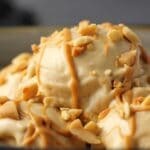 So what do you think of this peanut butter banana ice cream? Let us know in the comments and please do rate the recipe too! Thank you! Sign up to our email list while you’re here, you’ll get a fabulous recipe ebook containing 10 delicious vegan dinner recipes and you’ll be the first to know when new recipes are posted to the blog. 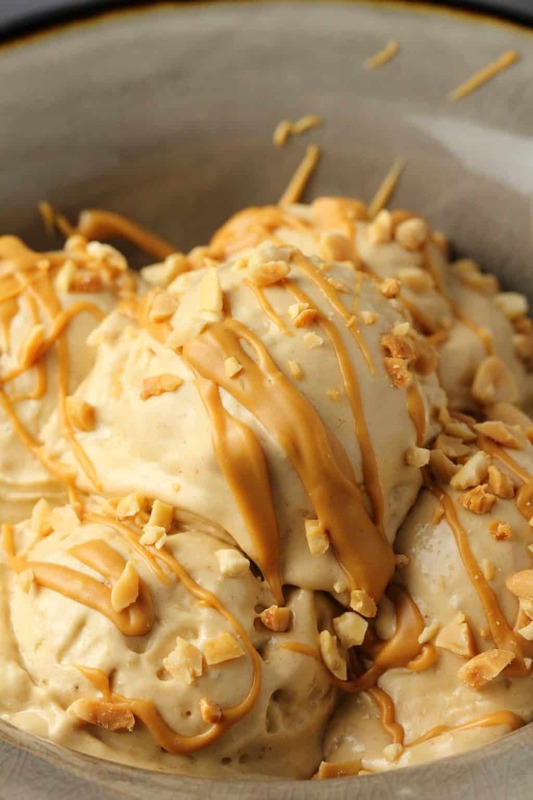 Smooth and velvety peanut butter banana ice cream, made with just 2-ingredients and a food processor! So good you’d never suspect it’s healthy too! Simple, delicious, vegan and gluten-free. 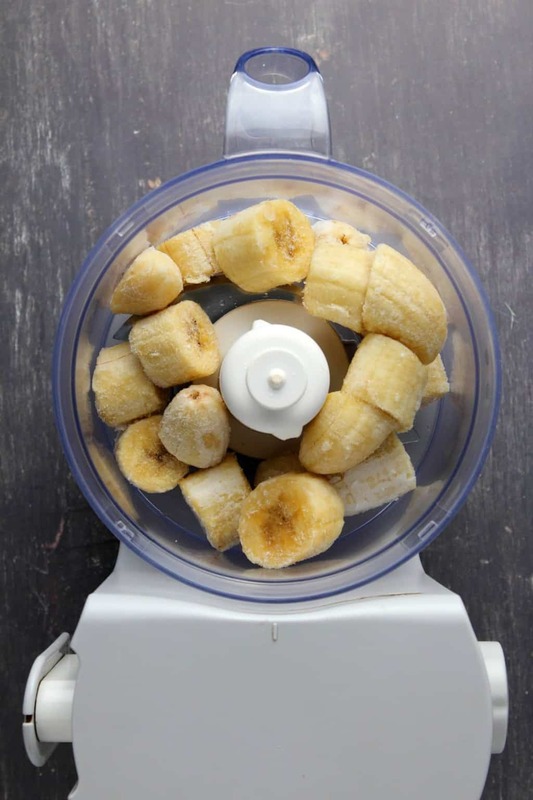 Add the frozen banana pieces to the food processor and process. It will make a lot of noise as the bananas break up into small pieces. 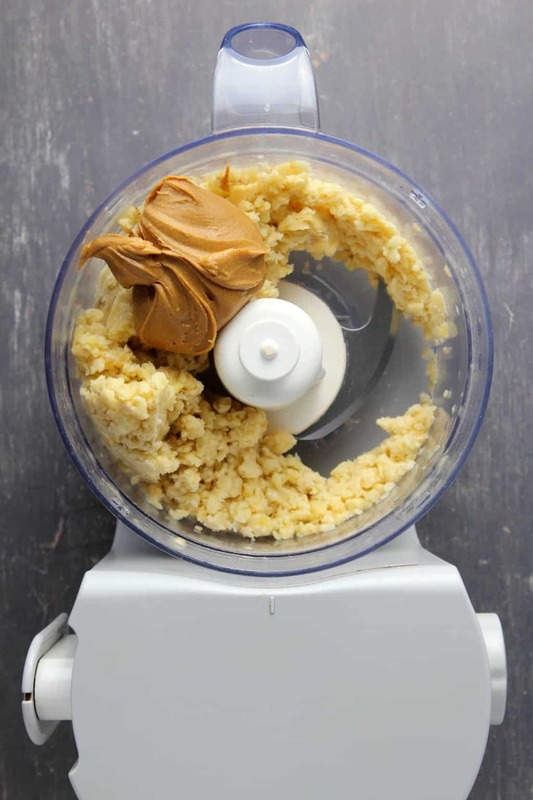 When everything is broken down into small pieces, add the peanut butter and continue to process, stopping regularly to scrape down the sides and break up any clumps that form. It will gradually smooth out and form into ice cream. 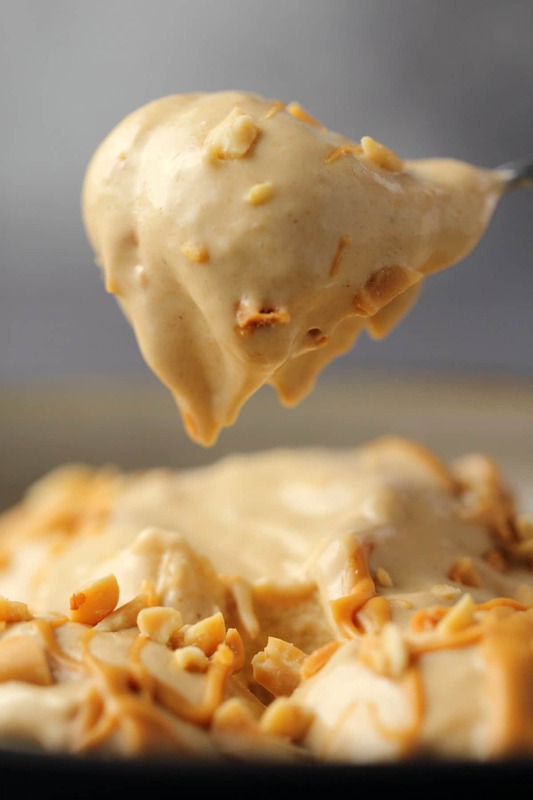 Scoop out into bowls and top with drizzled melted peanut butter and crushed peanuts and serve immediately. 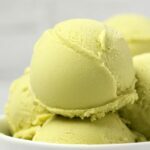 *You can place this into the freezer to serve later, but you do lose some of the lovely velvet texture of this ice cream, so it’s the most delicious when served right away when the texture is like soft serve. *Nutritional information is for peanut butter banana ice cream only and doesn’t include added toppings. What a simple yet effective and delicious ice cream! Gonna try it out. 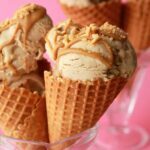 I have made ice cream with frozen bananas, peanut butter and cocoa before but not only with bananas and peanut butter. Definitely going to do it with peanut sprinkles and peanut butter drizzle. Num num!! Made this tonight and it was a hit. when you have an ice cream craving and no ice cream this will definitely hit the spot. 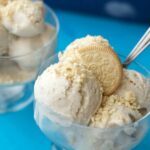 This is by far the easiest and tastiest icecream I have had in a long time, i served it to the hubby and he never even suspected it was made from bananas! thank you so much for this wonderful recipe!